Pedal Missoula organizes creative bikey fun. For event location updates, check out our social media outlets and sign up for our e-mail newsletter! Every Wednesday from 7:15 to 8:15 AM, people ride bikes to a local park to hang out for Coffee Outside MSLA (#coffeeoutsideMSLA). We bring camp coffee setups, water, and mugs to brew beans donated by Black Coffee Roasting Company. If you don't have a camp coffee set-up, stop by anyway—we'll brew you coffee, just bring a mug. We'd love to share good conversation and a warm beverage (even tea!) with you. 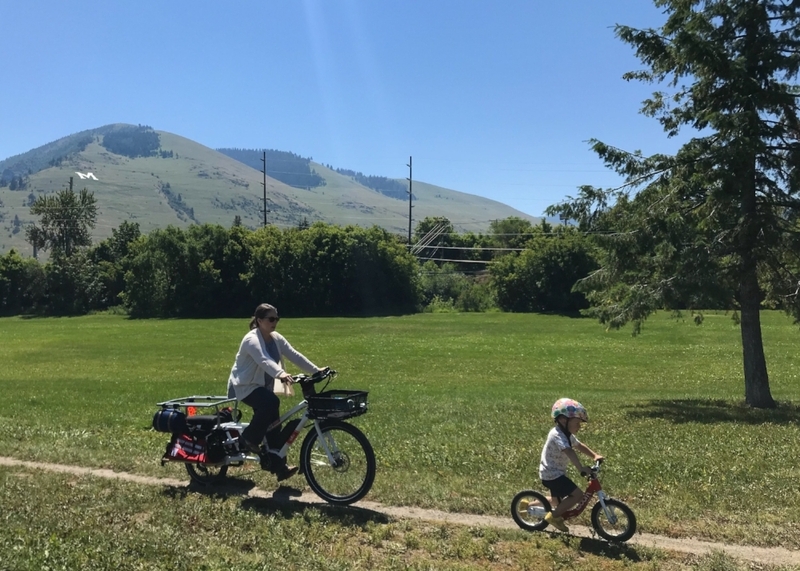 We lead a monthly social bike ride from the heart of Missoula to the beautiful gravel, dirt tracks, and residential roads that surround our town called Missoula Mayhem. We recommend wider tires and/or confident bike handling skills as we seek out various terrain conditions. This is a no-drop ride with a spirited pace. Other rides and events pop up as demand and desire dictate. We love to collaborate with individuals, organizations and businesses to organize bike rides and events. If you have an idea, let us know by sending an email to pedalmissoula@gmail.com or by reaching out on social media.